Retailers: please enter your item information, print the proof of warranty, and return it to your distributor. If they you already have proof of warranty from an end user, sent it with the item to the distributor. 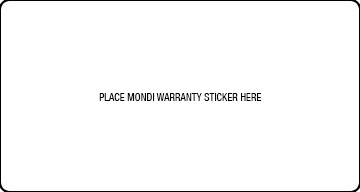 For a detailed warranty information, please download the full warranty brochure. 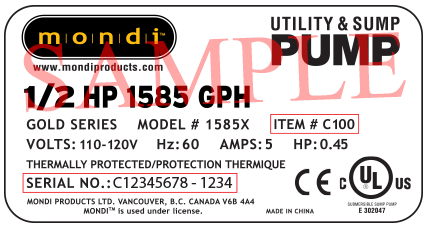 Item and Serial numbers are located on your Mondi Product's label as shown above.